Are you ‘careful’ with your food choices? Do you try and make the ‘best’ or ‘healthiest’ decision when you are eating? 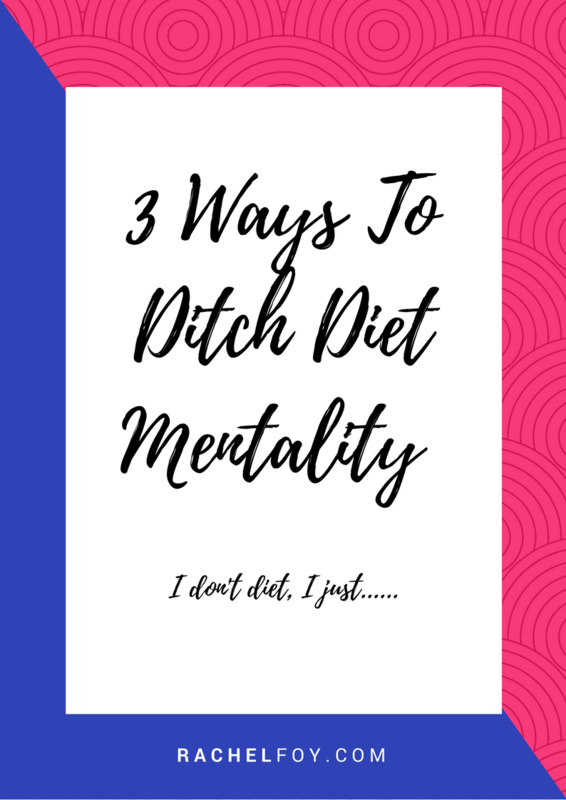 If you struggle with emotional eating, binging, food obsession and/or weight fixation, yet you don’t think you diet, you might want to take another look….. If you’ve been following me for a while you’ll know how passionate I am at helping women realise that dieting is the NUMBER ONE REASON why they often have screwed up relationships with food. So is it possible to not be dieting and yet still struggle with binging and emotional eating? The truth which many women don’t realise is YES it totally is possible. Before we carry on I think it would be a good place to start with what do we mean by dieting. Well diets can be conventional such as Weight Watchers, Atkins, Slimming World, South Beach or they can be a way of eating such as Paleo or 5:2 but did you know that diets can also be emotional? This is what I refer to as diet mentality. You find yourself in a coffee shop with a friend and you order the skinny latte as it’s got the least amount of calories. You replace the fries with your sandwich and have salad instead (and naturally hold off the dressing) as it’s the low fat option. Or you pass on desert at your favouring restaurant as you are ‘trying to be good’ even though the hot chocolate fudge cake looks divine especially with the vanilla ice-cream on the side!!! I think it’s important to appreciate what dieting means and ‘dieting’ (whether a traditional plan or diet thinking) is the root cause of dysfunctional food relationships particular binging and losing your control around food. Well once you can appreciate that dieting is something which actually causes your messed up relationship with food, you are already heading in the right direction. Become a rule breaker, de-categorise food, allow yourself to eat what you like. Food is NOT a moral issue despite what the diet culture wants you to believe. With rule breaking comes permission. Always. Permission to eat cake for breakfast if your body desires it. Permission to eat cheese with your pasta. Permission to have a full fat latte AND a cookie if your body desire it. Without permission, we stay stuck in diet mentality. It’s so easy to fall into the ‘I-can’t-believe-I’ve-just-eaten-that’ trap. Beating ourselves up for something which we didn’t want or said we wouldn’t eat. That will FUEL food dysfunction. So instead, what if you could step back and just observe yourself? Recognise and notice what is going on as from there, you CAN take steps to becoming a normal eater. One of the fundamental focus points on healing your relationship with food is to break diet mentality and stop dieting, I hope this might explain why you sometimes wonder what the hell is wrong with you when you are stood in your kitchen inhaling the kids chocolate biscuits and hoping no-one noticed….! !